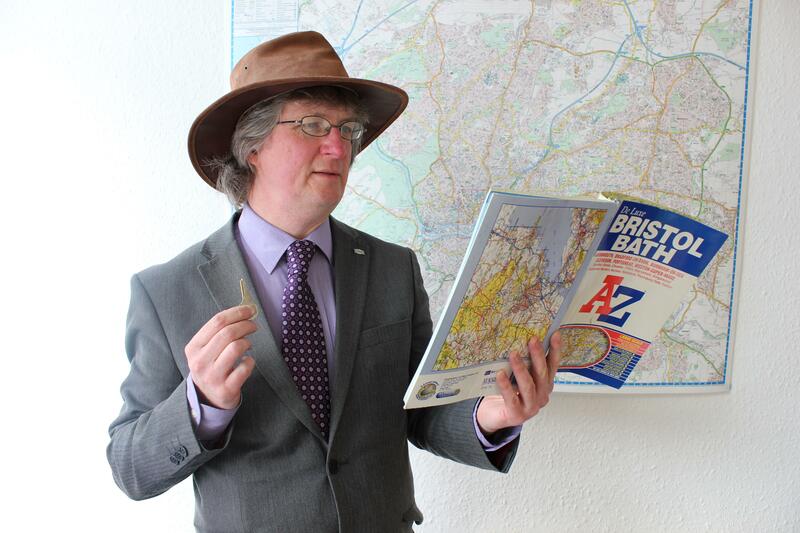 Bristol Estate Agent Finds Hidden Treasure! A Bristol estate agent has uncovered what one person has already described as “the find of the 21st Century”. The mysterious stranger turned out to be someone Martin knows quite well as he has sold property for him in the past, and is currently selling the house he lives in with his wife and daughter. “I was given a detailed set of instructions on how to find the door that the key fits. I decided to embark on the quest on foot, as this seemed more epic. Also, the property concerned is just a few yards from our office”. On locating the door, Martin turned the key in the lock. Click. “I wonder if cod liver oil would stop my joints from clicking all the time”, Martin thought. On removing the padlock and opening the door he found what one scientist might (if he was paid enough) describe as the rarest commodity known to man: a lock up garage in the middle of Westbury Park! “My client is moving away”, Martin explains. “He doesn’t need a garage here any more. So he’s decided to sell it. We could have set any price we wanted, but settled for an asking price of £20,000”. The discovery has caused great excitement in the wider Bristol community already. A man with a beard, who looked a little like someone famous, was spotted, a short distance away from the garage, in the Waitrose car park. “I’m very excited about there being a garage for sale in Westbury Park” is one of a number of things that he didn’t say, when asked for an interview. Someone wearing a crash helmet, who we initially thought might have been The Stig from BBC’s cult motoring show Top Gear, but who probably wasn’t as she was riding a moped, said something. Unfortunately it was inaudible from under the helmet, so we can only guess at how thrilled The Non-Stig must be. And pictures of Bristol’s (er, South Glos?) snowboarder Jenny Jones, taken at the recent winter sports jamboree in Russia, showed how pleased she was having slid down the icy slope on a piece of wood. We’d like to think that she had just been told about the garage find; if so, no wonder she looked happy. Being given a medal for doing something must have topped off a perfect day for her. For further information about this garage, or to book an appointment to view (it won’t take long to look around), please contact Haigh & Sons on 0117 973 5859, or visit their website: http://www.haighandsons.co.uk.